Chris Stambaugh and LuthiersAccessGroup offer these new twins fraternal, if you will. 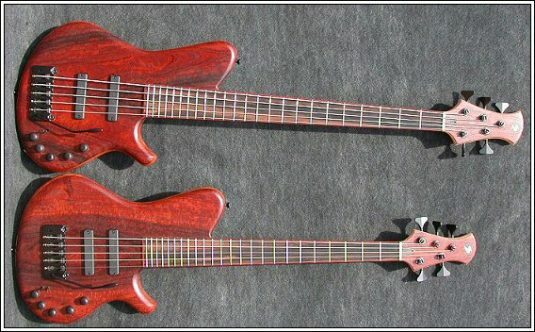 Same woods , same electronics, same hardware , both neck-thru , with one being a 35″ scale bass and the other a 30″ scale piccolo bass. Both tuned BEADG , an octave apart. The bodies are beautiful ribbon Mahogany, the tops/matching headstock veneers are Burmese Rosewood, provided by our friend Larry Davis at Gallery Hardwoods. The necks are Maple and Purpleheart with Macassar Ebony fretboards. 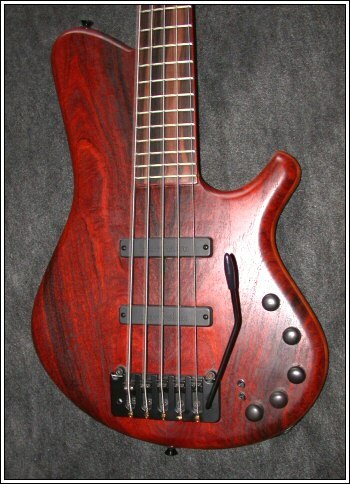 Note the Cocobolo binding on the fretboards, a very classy touch. To the electronics and hardware. 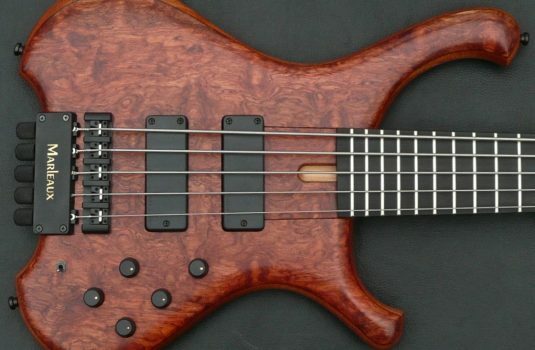 The pickups are the Bartolini â€œXâ€ series and the preamp is the Aguilar OBP-3 volume, blend, 3 band EQ with 2 position mid frequency selector and active/passive switch. A very musical package. 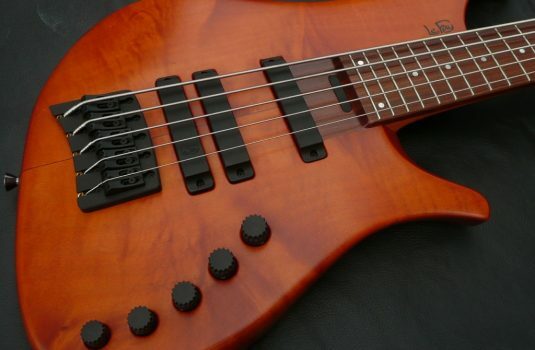 The hardware is by Hipshot Ultralite tuners and their new whammy bar. It is not necessary to cop Hendrix licks with the whammy, but if you want to! I do find it very useful for solos and melodic passages, adds a nice bit of expressive nuance. If you don’f need it, just remove the bar and save it for a rainy day. Chris keeps getting better and better (but don’t tell him, the prices may go up). 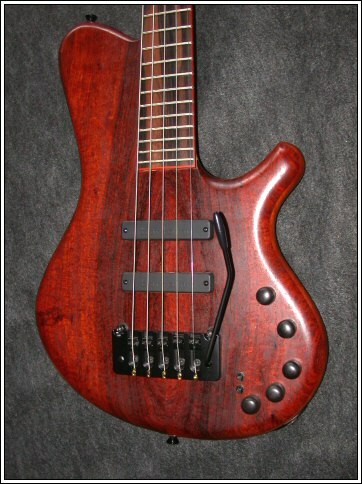 Very high quality basses and extraordinary values. Buy the pair and we will offer a substantial discount. Hey, they belong together!